Barbecue is as American as apple pie, but not all barbecue will affect your tastebuds the same way. 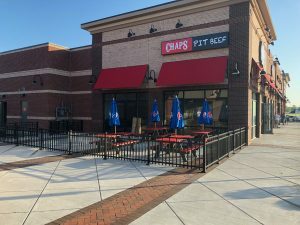 Chaps Pit Beef has made a name for itself in the Maryland area with its juicy pit beef sandwiches, but it is still flying under the radar when it comes to BBQ aficionados. It quietly chugs along providing customers and staff a welcoming environment and is quickly becoming one of the upcoming choices for entrepreneurs looking to get into the BBQ franchise business. Baltimore Pit Beef is basically barbecued beef that is crusty on the outside and juicy and almost rare on the inside. The meat is shaved into thin strips and heaped high on a sandwich. Pit Beef is served on a Kaiser Roll or rye bread which give an earthy flavor to the sandwich. What else makes this such a signature Baltimore dish is the sauce. Unlike other regions which use a mix of ketchup, brown sugar or vinegar to give the meat its flavor, the sauce used with Baltimore pit beef has horseradish sauce in it which keeps the customers coming back for more. At Chaps, to make a Classic Pit Beef sandwich, Bob uses a bottom round roast flat cut from the hind quarters which are a tougher, but more flavorful cut. He trims the gristle and silver off the meat and then applies a dry rub of different herbs and spices like paprika, salt and pepper, thyme and onion powder. He then lets it sit overnight and in the morning he puts it on an open pit of burning hardwood charcoal that gets to gets to about 400 to 500 degrees. Once the beef has a nice crust on the outside and is tender on the inside, he slices it in ribbons and puts it back on the pit so he can cook to order for each of his customers. He always make sure to spread the meat around to add some char and flavor to it. Next he shaves the meat and piles it high on a kaiser roll and adds whatever fixings the customer wants, including Chaps’ special tiger sauce which is a mixture of mayonnaise and extra hot horseradish. Your food is always cooked to order. Another important quality about Chaps Pit Beef that makes it a hidden jewel in the BBQ franchise world and one of the top barbecue chains is its family atmosphere, both for customers and for staff. Chaps Pit Beef is the brainchild of Gus Glava who owned a Southwest-themed night club on Pulaski Highway and his daughter and son-in-law. Back in May of 1987, Glava built the original Chaps Pit Beef on the grounds of his nightclub as a wedding gift for his daughter Donna and son-in-law Bob Creager who was working in a steel mill at the time. The original stand was basically a 12 x 15 shack that shared the food license and even electricity with the nightclub. It was the most basic setup that could be with no restroom and only enough room to prep and cook the food. Bob would cook and Donna would manage the staff and eventually their business grew to not only allow for an expansion of their original shack, but also the addition of the new restaurant in Aberdeen. As they have grown their business, they have kept that family feeling going strong. When customers come in, they are always greeted with a warm welcome and their BBQ is always cooked fresh to their specifications. And employees including franchisees in their franchise program are also treated like family and are always given the support they need to excel in their work. Besides offering high quality food and service, Chaps is very affordable for a good meal and also to invest in as a barbecue chain. Some franchises expect their franchisees to invest a million dollars or more, but Chaps Pit Beef is a more reasonable investment that more people can afford. 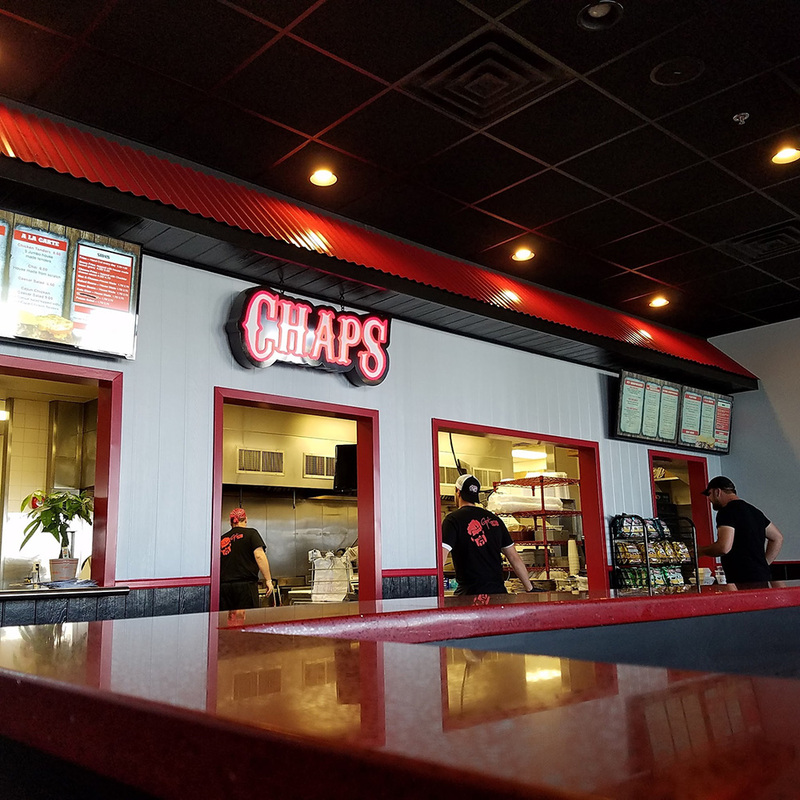 Chaps is also considered one of the best money-making franchises in the U.S. It has never been easier to make your dream of being your own business owner a reality. Having been around for over 20 years, Chaps has built a strong loyal customer base that any Chaps franchisees can bank on. When you are building a new business from the ground up, you will have to create your own customer base. That is what is so great about joining Chaps. There are already a strong customer population craving your food. In addition, Chaps has built a strong brand. People know what to expect when they enter a Chaps Pit Beef restaurant and when they see advertisements. This can also help you a lot as a fledging franchisee. Overall, if you are looking to get into the franchise business, Chaps Pit Beef is a smart choice. Barbecue will never go out of style and barbecue franchises are really popular now. And if you are already a fan of Chaps Pit Beef’s food, then why not sell something you are already passionate about? If you are in the market to buy into a franchise and you are considering a barbecue joint, remember that it is a big decision. One you should never take lightly. Make sure you do initial internet searches to get some basic information and then set up interviews with potential franchisors and some of their franchisees to get a fuller of picture of what to expect and what each potential relationship could offer you. Chaps is one of the best money-making franchises you can invest in. 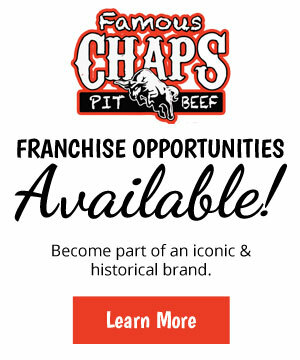 For more information about why Chaps is one of the most underrated barbecue chains and franchising with Chaps Pit Beef, call them today.